This soup is made with roasted bell peppers, onions & garlic all pureed with our homemade chicken broth. Then we fry corn tortilla (gluten free) and puree again. Finally the corn, beans, chicken & seasonings are added. 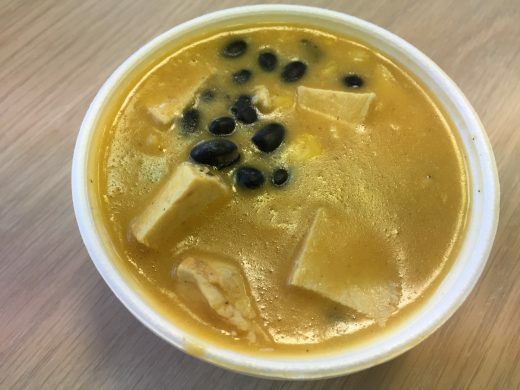 (This is our best selling soup and we have it daily).